During 2017, Kodi and its sea of third-party addons hit the headlines hundreds of times. Streaming in this fashion became a massive deal throughout the year and eventually, copyright holders decided to take action, cracking down on groups such as TVAddons, ZemTV, and addons offered by jsergio123 and The_Alpha. In November, the problems continued when the Ares Project, the group behind the hugely popular Ares Wizard and Kodi repository, threw in the towel after being threatened by the MPA-led anti-piracy coalition Alliance for Creativity and Entertainment. The combined might of Columbia, Disney, Paramount, Twentieth Century Fox, Universal, Warner, Netflix, Amazon, and Sky TV was too much, leading to Ares Project leader Tekto shutting everything down. This was a significant development. Over a two year period, Ares serviced an estimated 100 million users. After interviewing Tekto last month, today we catch up with the developer again, listening to his thoughts on how the scene might further develop in 2018 and what threats lie ahead. 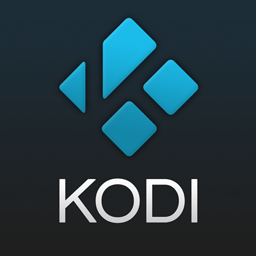 TF: Could you tell us a bit about Kodi’s suitability as an unauthorized streaming platform moving forward? Is it flexible enough to deal with threats, is its current development effort sufficient, do addon developers like the way it works, and how could it be improved? Tekto: The public awareness of Kodi and the easy ways with which it can be customised via builds and its open source nature makes it the perfect platform for Python coders. It’s easy to fork, copy, adapt and learn, and it’s good for “builders” who modify, personalize, and “brand”. It’s also easy for users to obtain, install, and work with the plethora of wizards and addons etc, all backed by up blogs and YouTube tutorials. It’s the perfect open source platform to develop and customise to access a massive range of content. Content that may well be contentious but regardless, it is publicly available all over the web. TF: Obviously Kodi is the big thing at the moment but other apps, such as Showbox, TerrariumTV, and similar products are carving a decent niche for themselves. Where do you see the market sitting on these kinds of products moving forward and are they a threat to Kodi’s dominance? Tekto: The apps and other services don’t offer the same level of personalization. That’s what will keep a certain dedicated following happy with Kodi. We’ve had Plex, Streamio, Emby and so on, but none offer the flexibility of Kodi. TF: Does Kodi have any major weaknesses that you know of? Is it under threat from other systems perhaps? Tekto: Lets not forget we had CCcam [card sharing] for a decade and with Sky [UK TV provider] changing their encryption to end that source, a myriad of IPTV providers sprung up to replace it. All that killing the CCcam method has done, is moved people off CCcam to IPTV. It hasn’t stopped piracy or access to “premium content”, it just moved somewhere else. It probably also makes the providers more money than CCcam accounts ever did. TF: There have been a lot of legal threats in 2017. Are third-party addon developers and their community under serious threat? Tekto: If Kodi third-party devs “stopped”, something else would take over. All the Android apps that have sprung up (some have been around a while anyway) are already filling some gaps or giving options for those looking to stream. Having tried some of these, I have to say for non-tech users there are two or three apps that will suit them perfectly. Others need more work and fewer invasive ads to be more successful. Will Kodi stop? No. It is evolving and finding a new path. It has to. Well, the coders have to, at least. TF: What is your overall assessment of the various legal attacks this year? Tekto: What is being missed by all these legal “efforts” is the removal of the sources being accessed. Whilst the sources exist, apps and Kodi add-ons will find ways to access them. Did taking out a few Kodi devs and a wizard remove any content? Did it stop just one movie from being accessed? No. It did nothing to stop piracy. It did, however, give those receiving HUGE fees to act for the various movie and broadcasters, something to write on their “success” boards and reports. It just upset users for a few days whilst things adapted to the new situation. The Kodi builds listed on Ares all had their own wizards anyway – so they all carried on working. All the add-ons on Ares were mostly linked to Github, so they carried on working anyway. The takedown of guys working on the URL resolver for Covenant didn’t work at all. The code still works and if you add, let’s say, Real Debrid, it won’t ever stop working, even Exodus still works! Let’s add to this that Covenant was then forked five or six times and re-marketed. I’d say it probably increased “acts of copyright infringement” or at least access to “copyright infringing material”. TV Addons immediately took over development of the “URL resolver”, so it will be maintained and fixes for it released. The URL resolver module uses regex – regular expressions to emulate a web browser (for the most part). Let that sink in; A URL resolver is a way to bypass a web browser, as most of the content is hosted on “publicly accessible” websites, that still remain publicly available with or without Covenant or whatever the forks are called. TF: Sp there isn’t a Doomsday scenario? Tekto: If the Kodi third-party scene is somehow stopped – all Wizards, builds, etc were all stopped this very second – there would be a dozen new apps for Android in weeks. Meanwhile, there are hundreds of websites you could switch to, to watch the same content. ACE, MPA etc need to wake up to that fact. TF: One of the big deals this year, as far as the legal position goes, has been the clarification of “communication to the public” following cases at the European level featuring [pirate box seller] Filmspeler and The Pirate Bay. How do you think this will affect the addon and build scenes moving forward? Tekto: I’ve long believed that Kodi wizards and scraper addons operated in a way that wasn’t illegal, in that they never provided content, never actually handled the copyright protected files themselves. It still remains my belief that the recent efforts to use the Ziggo [Pirate Bay] ruling concerning “communicating to the public” is directly linked to torrents or at the very least actually providing content itself. It may be legal “saber rattling” – however standing your ground in the face of a well-funded legal behemoth is beyond hobbyists. TF: An addon developer I spoke with recently said that fellow addon developers will need to be smarter in future, perhaps by developing addons that aren’t so obviously infringing and are more general in their functionality. Do you feel this is a route they’re likely to take and will it make any difference? How do you think a more ‘underground’ scene will affect the situation on the ground? Tekto: Going Underground? Most will say grab a VPN and you’re safe – take note that a VPN isn’t enough. They may not get your logs, but they will get your payment info, or the times you are online tagged against another log etc. Anything like PayPal, Gmail, AdSense, etc is 100% out too – they will give people up in a heartbeat. People will have to avoid Facebook, Twitter and so on, as again, they will also link back to the “real you”. I expect more will move to Tor as a first level of hiding their identities. Hosting via Tor-only sites might be a way to avoid some obvious methods of tracing people. Add-on devs could access Github and release code without ever having to reveal who they are. Let’s not get into the whole “freedom of speech” etc scenario, however. It should mean that any developer should realistically make much greater efforts to hide their identities. TF: Thank you for your time, Tekto. Any final messages for the readers? Tekto: Yes, our Ares Wizard has returned. It’s a mainentance tool now.